England cricket star Charlotte Edwards talks to Jonathan Agnew about breaking down the gender barriers in sport. Captain of the England cricket team Charlotte Edwards has spoken of her excitement at the recent surge of interest in women’s sport. Her team’s Ashes campaign is being broadcast live on television and radio for the first time, and this follows on from the first women’s FA Cup final to be staged at Wembley, the home of English football. Edwards believes the performance of British women in the 2012 London Olympics triggered the sudden rise in profile of women’s sport in this country. ‘It was a huge turning point,’ she said. ‘The Olympics changed a lot of perceptions about women athletes. 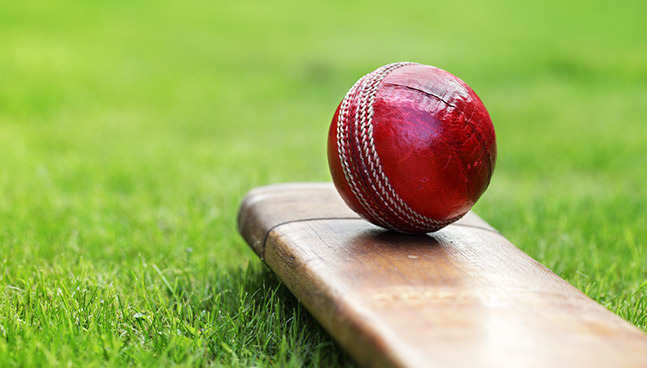 Key sports like football, rugby and cricket have also been successful since then. It’s all made a huge difference.’ Edwards and her England teammates have been taking cricket into schools around the UK, and it is here in particular that she has noticed an important change in attitude. ‘Children are now much more aware that women play sport,’ she said, ‘and that has made it more accessible. I only took up cricket because I was good enough to play with the boys. But lots of girls used to be put off because they didn't want to join boys’ teams. Now, across all sports, there are many more women’s and girls’ sections in clubs. It means girls are now much more comfortable playing sport than those of my generation – that barrier has gone.’ Sport England’s This Girl Can campaign has also helped motivate women, she says. Many are self-conscious about how they look when exercising, and This Girl Can addresses that by focusing on real people, rather than top athletes. More than 13 million have watched its no-frills video, which shows women of all sizes, shapes and abilities getting down and dirty, using slogans such as ‘Sweating like a pig, feeling like a fox’. Edwards believes this is a vital mes - sage to get across. ‘We want everyone to be more active,’ she said. ‘It doesn’t matter what level they achieve. The adverts in that campaign were fantastic. They showed impressionable teenagers that you don’t have to be an immaculate Barbie doll, and that it is good to play sport and get sweaty without feeling unattractive.’ While the signs are encouraging, Edwards says there’s still a long way to go for women’s sport. ‘We have to be on TV,’ she said. ‘There must be role models for women to emulate. It’s incredible that two million people watched the England Lionesses’ last match in the women’s football World Cup, and we have been overwhelmed by the support we’ve had since our Ashes series began [their Test match versus Australia is currently taking place at Canterbury in Kent]. ‘There is still a tiny element who remain sniffy about women in sport, but now many more people are watching women’s cricket because they enjoy it and appreciate the skill.